Publisher Condé Nast is bringing all of its titles- with the exception of heavy fashion tome Vogue- to the soon-to-be released Barnes & Noble Nook Tablet, the publisher announced today. 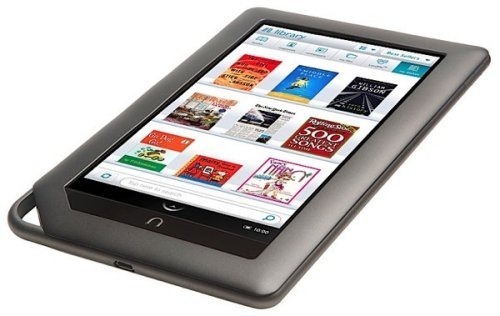 17 of the 18 titles, Vogue excepted, will be available by the end of November, with the holdout title joining the rest on Nook Tablets and Nook Color in early 2012. The titles will be sold both individually and as monthly subscriptions, and current print subscribers will have access to the digital edition of their selected title free. New subscribers will be granted a free 14-day trial. The titles newly available for Nook products include Allure, Architectural Digest, Bon Appétit, Brides, Condé Nast Traveler, Details, Glamour, Golf Digest, Golf World, GQ, Lucky, Self, Teen Vogue, The New Yorker, Vanity Fair, W, and Wired.